From Goodreads: At fifteen, Leen De Graaf likes everything she shouldn’t: smoking cigarettes, wearing red lipstick, driving illegally, and working in the fields. It seems the only thing she shares with her fellow Dutchmen is a fear of the German soldiers stationed nearby and a frantic wish for the war to end. When a soldier’s dog runs in front of Leen’s truck, her split-second reaction sets off a storm of events that pitches her family against the German forces when they are most desperate – and fierce. Leen tries to hold her family together, but despite her efforts, bit by bit everything falls apart, and just when Leen experiences a horrific loss, she must make a decision that could forever brand her a traitor, yet finally allows her to live as her heart desires. 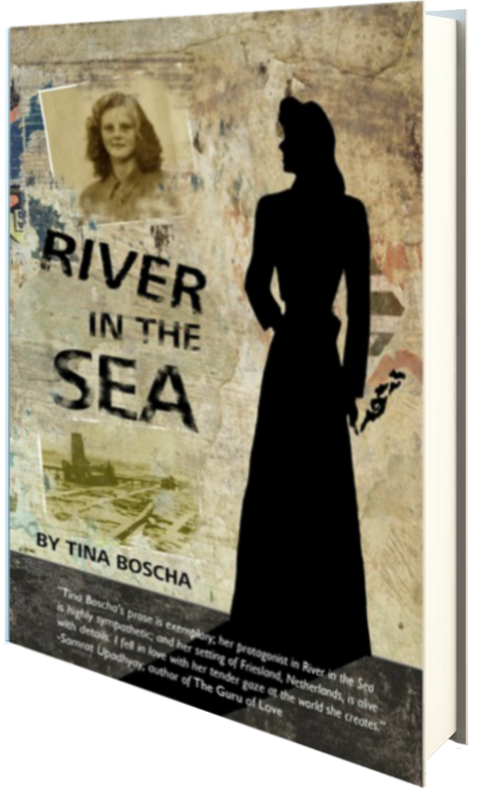 Inspired by events experienced by the author’s mother, River in the Sea is a powerfully moving account of one girl reaching adulthood when everything she believes about family, friendship, and loyalty is questioned by war. Readers who want to immerse themselves in a story with both a plot and characters that keep the pages turning will love River in the Sea. For fans of The Book Thief, Those Who Save Us, and Sarah’s Key. This is an absolutely stunning, captivating read that held me in its grip from the very beginning. I started it late at night, yet stayed up well into the wee hours of the morning to finish this gem–and it absolutely blew me away. We hear much about the Holocaust and WWII, but I feel that we don’t hear as much about the other countries and people groups who were affected by Hitler’s regime outside of Germany and Poland, and this novel, River in the Sea, focuses on the German occupation of one small town and its people in the Netherlands in late 1944. Leen De Graaf is just a young teen, but she knows the taste of fear and death; she knows to keep her head down and not draw attention to herself, but in one sweep of panic, upsets all the rules and barely escapes with her innocence intact. And with this simple misstep comes a series of events that create a domino effect, leaving none untouched. As the underground resistance works to thwart the German army and save the innocent, intense fear, a lack of food, disunity among families, and immense feelings of sorrow and guilt splash across the pages and evolve in such a way that it makes for a truly superb, poignant, and beautiful read. Make sure you have a box of tissues nearby as the novel definitely tugs at the heartstrings. Five amazing stars.